We had a great time at Believe Weekend 2018!!! As the Middle School Pastor, here at Oakwood, I have seen many moves of God and have been thankful for lives changed. This Weekend, my thoughts were “THIS NEVER GETS OLD!” The ultimate treasure for the Kingdom of God is one more life turning to Jesus Christ. The ultimate joy here on Earth is to see students that came through the Oakwood Student Ministry return as leaders to invest back into the next group. The excitement for the upcoming days is to see what steps each student takes as they follow the Lord and walk in His ways. We saw over 500 students sign up this year. 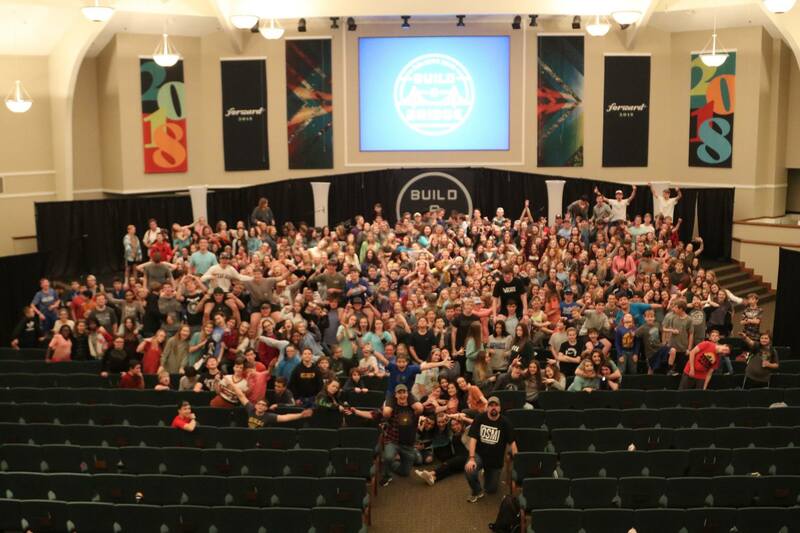 55 of those students made the decision to follow Jesus Christ as their Lord and Savior. With the help of over 50 small group leaders and almost 400 volunteers, students heard from the Speaker, gave over 12,000 cans and food items to our Local Salvation Army, built long lasting relationships, and ended with a celebration service on Sunday to see 44 baptized. God is SO GOOD! Thanks to all that served to extend the Kingdom of God!